Some animals, such as the axolotl salamander, can regrow new body parts in a process that involves the generation of new cells. The damaged cells will die off and the limb will regenerate through cell division, which creates new tissue. Single-celled organisms however cannot utilise this strategy, as they only comprise a single cell – hence upon significant damage, they usually die. 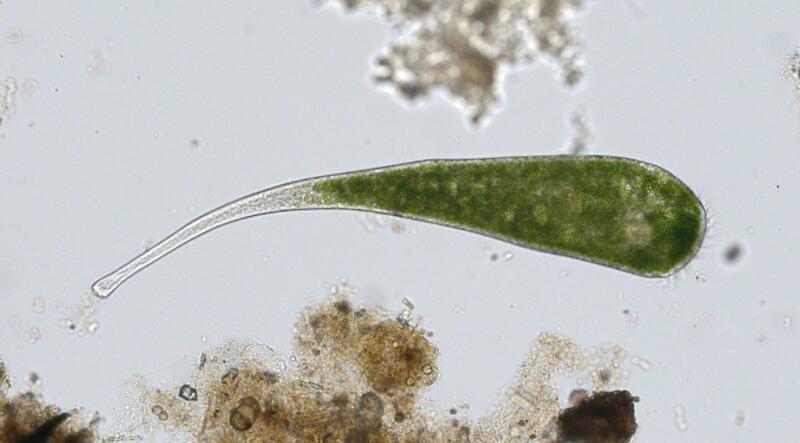 Yet, some single-celled organisms, such as the giant ciliate Stentor, have the rare ability to repair themselves when damaged, in a process referred to as 'self-repair' or 'self-regeneration'. Whereas the ability of Stentor to self-regenerate has been known for some time, detailed knowledge about which genes play a role in this process has thus far been lacking. Now, a research team from Uppsala University has identified over a thousand genes that are involved in rebuilding a fully-fledged Stentor cell after being cut into two halves. "Stentor cells are huge and can be over 1 mm in length, which makes it possible to see single cells with the naked eye without using a microscope," says Henning Onsbring, doctoral student at the Department of Cell and Molecular Biology, Uppsala University, who was the lead author of the study. "The large size makes Stentor suitable to study when you want to analyse regenerative capacity at the cellular level." "The method we used involved the sequencing and quantification of RNA molecules in individual cell fragments, something that was never done before," says Dr. Thijs Ettema, associate professor at the Department of Cell and Molecular Biology, Uppsala University, who led the study. "Usually, such methods are only performed on model organisms for which a genome sequence is available. This was not the case for Stentor polymorphus however. We needed to tweak existing protocols and test whether we could use these to study gene expression changes in regenerating Stentor cell fragments." "The mouth part of the cell is used for feeding and represents a rather large and complex structure. Our results indicate that rebuilding this mouth structure involves roughly ten times as many genes as compared to regenerating the tail part of the cell," says Onsbring. "We also managed to confirm observations from previous microscopy studies that suggested that cellular regeneration shares similarities with the process of cell division. We found that several genes that were previously implicated in cell division were also upregulated during various stages of regeneration." "A previous study had recently reported that the Stentor genome encodes many of these proteins kinase genes. The function of this expanded set of genes was still unclear however. If anything, we now show that many of these protein kinases are expressed during specific stages of the regeneration process. Possibly, the expansion of this group of signaling genes represented an important evolutionary step in the emergence of the ability to perform self-repair," concludes Ettema.